Opus Business Media has announced an agreement that will see Tomorrow’s FM become the ‘Official Media Partner’ of Facilities Management 2015. Opus Business Media, the publisher of Tomorrow’s Flooring, is pleased to announce the launch of a new digital magazine for the retail flooring market. 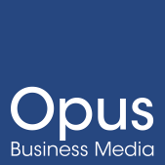 After its London office move, Opus Business Media has yet again expanded its reach by relocating its head office. Opus Business Media has extended the availability of its app to Android users, as well as revamping the existing design.